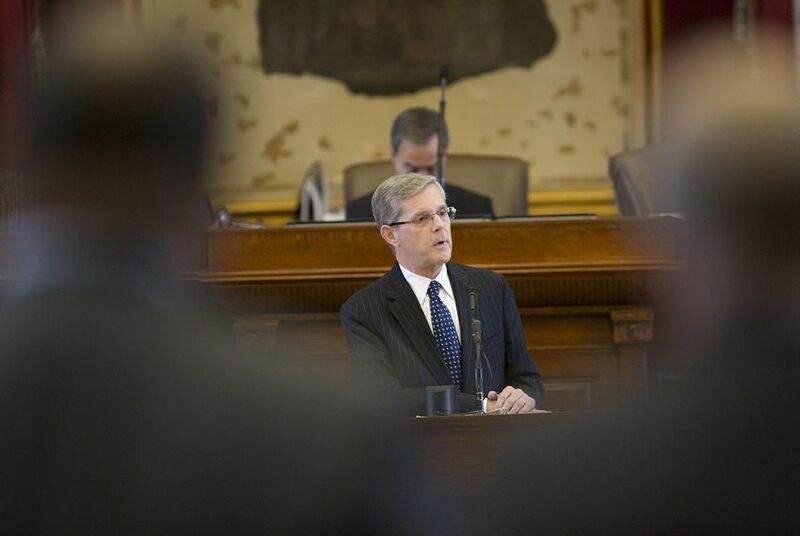 State Rep. Phil King, R-Weatherford, announced Friday that he has filed paperwork to run to be the next speaker of the Texas House. The current speaker, San Antonio Republican Joe Straus, has said he plans to seek a record-breaking sixth term behind the dais in 2019. He has easily fended off previous challenges to his leadership, and the House unanimously voted to give him a fifth term as speaker at the start of the regular session earlier this year. "Speaker Straus has faced many challengers before," Straus spokesman Jason Embry said in a statement. "He's going to stay focused on doing what's best for Texas and San Antonio while helping the Members of the House communicate their positive record of accomplishment." King, a former police officer who has been a House member since 1999, noted that he has served in the lower chamber under three different speakers. "What I have learned is that the role of the Presiding Officer is not to control the House, but rather to facilitate, assist and empower all members to represent their districts, promote their ideas, and implement their policies," King said in the statement. The members of the Texas House traditionally select a speaker on the first day of a legislative session. The next session will begin in January 2019, unless Gov. Greg Abbott calls a special session before then. King, an attorney, chairs the House Homeland Security and Public Safety Committee. He represents House District 61 in North Texas. King's announcement came at the end of a two-day House Republican Caucus retreat that was being held outside Austin. One topic that was set to come up was the caucus's process for selecting a speaker — a discussion that has been encouraged by anti-Straus forces.